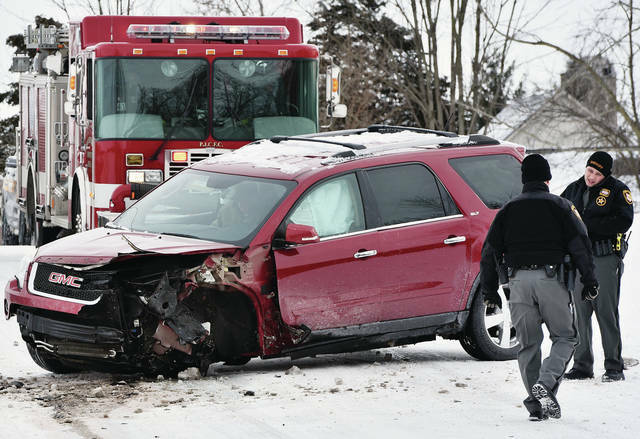 The left front tire of a SUV was torn off in a collision with another vehicle on the 16000 block of East Mason Road north of Sidney around 10:45 a.m. Tuesday, Jan. 22. Sidney and Port Jefferson firefighters responded. The Shelby County Sheriff’s Office is investigating the crash. 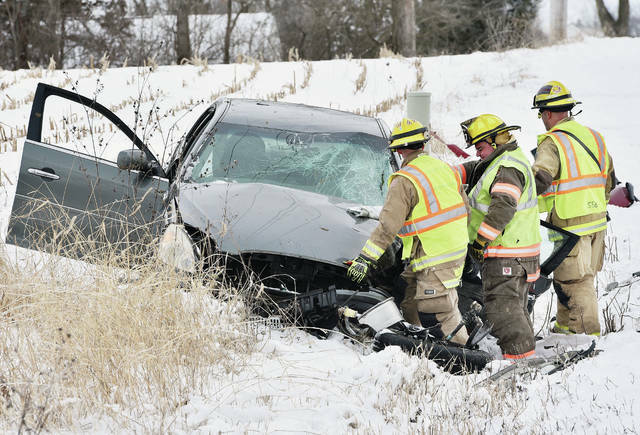 Firefighters look at a vehicle they had just extricated a man from, with help from the jaws of life, after a collision with a SUV on the 16000 block of East Mason Road north of Sidney around 10:45 a.m. Tuesday, Jan. 22. Sidney and Port Jefferson firefighters responded. The Shelby County Sheriff’s Office is investigating the crash.